Blanton’s Original is a product by Sazerac Company, made by Buffalo Trace in Frankfort, Kentucky. According to Wikipedia (4/2015), it was the first bourbon marketed under the single barrel statement. There’s so much old school in it: the history, the bottle, everything. This dram belongs to Westerns or old Hollywood films (I did spot it in the movie Gone Girl’s opening scene). I felt like Maverick from the old TV show, while opening the unique bottle and taking my first sip. Probably the first time I felt classy old school…I even advice you to buy a bottle of Blanton’s Original, just because of the bottle. The content will blow you away, but for the price I got this (I think it was 38 euros), I could’ve settled just for the bottle! 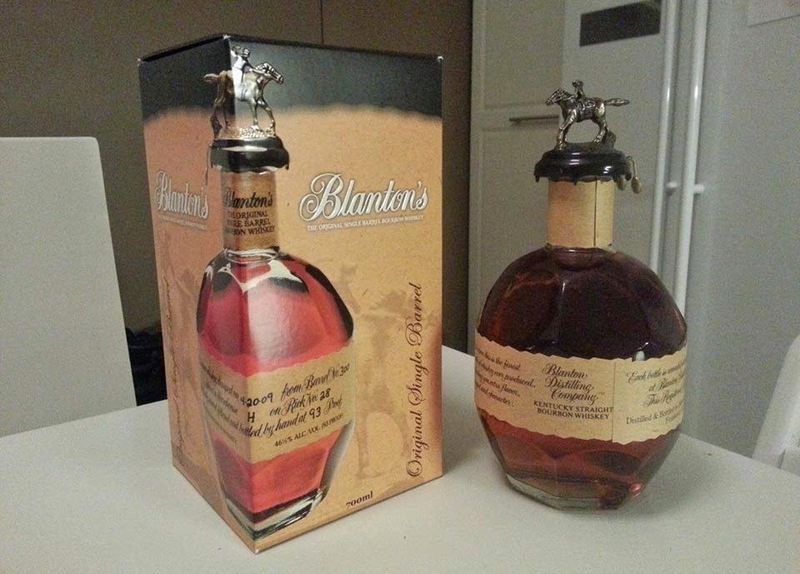 Bottles have eight different stopper designs, so by collecting them all, you can spell BLANTON’S. 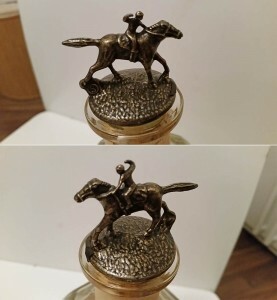 The horse and the jockey also pose in eight different ways, forming scenes from different stages of a horse race. 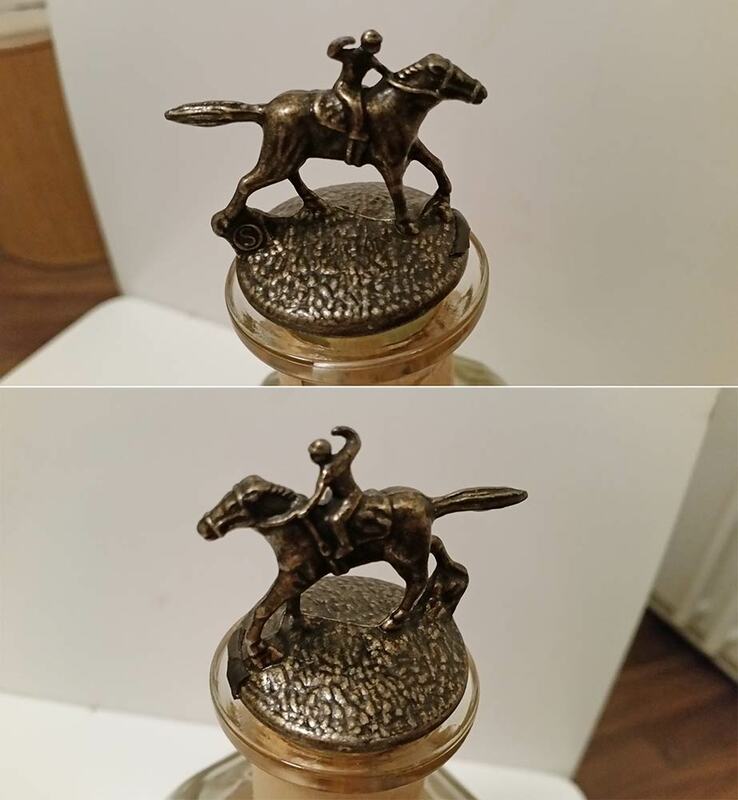 From standing at the starting gate, to crossing the finish line while winning. The recipe has corn, rye and malted barley – it is typically aged for 9 years and like the name says, all the whiskey comes from a single barrel for each bottle. 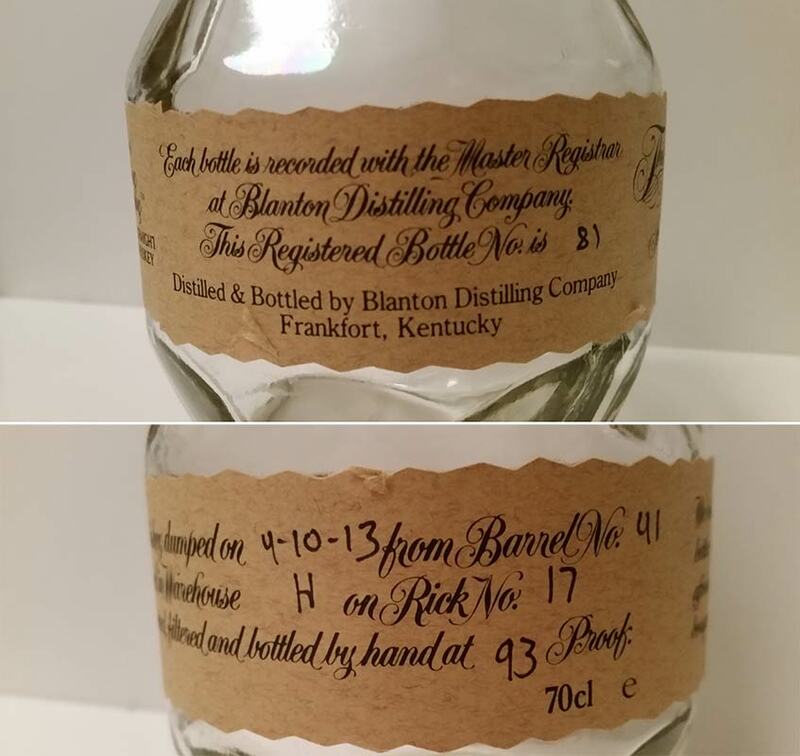 Which are taken from the middle sections of the famous Warehouse H. And it tastes amazing, but first, briefly about the history: Blanton’s brand was launched in 1984 under the supervision of the distillery’s master distiller Elmer T. Lee. The bourbon was named after one of the distillery’s early leaders, Albert B. Blanton, preserver of handcrafted bourbon tradition. 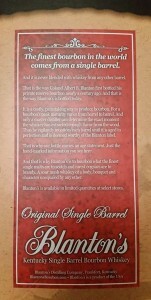 Blanton’s Original Single Barrel 41. Dated 4-10-2013, bottle number 81. Nose: Hot spices start the show. Continues with pleasant and lingering waxy honey. On top of that, oranges and nice little hints of caramel. Taste: Great mix of spices and sweet notes: oranges with hints of very watery, but tasty melon. Spices and nice vanilla complete the palate in a good way. Finish: Hot spiciness continues. Bitter and dry. Notes of chili with dark chocolate and oak. Balance: Amazing bourbon, great clash of hot spices and lingering sweetness! Warehouse H does deliver, I love this stuff! Each Blanton’s bottle stopper is marked with a single letter that spells Blanton’s if you collect the whole set. Mine has an S.
Each bottle label has the barrel and bottle number marked.